What Happens after the Revocation of Consent by a Birth Parent? Nevada adoption laws concerning parental consent aim to provide a child with a stable environment, while not inhibiting the rights of the birth parents or adoptive parents. Nevada law currently gives birth parents limited opportunity to revoke consent. These laws vary greatly from state to state, and even laws within a state may change over time. Given the seriousness of the termination of parental rights, we advise birth and adoptive parents to discuss options with attorneys. If you are seeking to adopt a child, or if you are a birth parent considering revocation of consent, it is important to learn how the revocation laws in Nevada may affect your rights. Additionally, you need to know what happens after the termination of parental rights and how that affects decisions for your child. Nevada adoption lawyer Eric A. Stovall has more than 25 years of legal experience, and can provide cost-effective legal assistance for your adoption. The court deems an adoption final in Nevada when it has entered the final adoption decree. At that time, the law grants adoptive parents the same rights given to birth parents. Their rights become irrevocable once the birth parents sign the valid relinquishments and consents to the adoption. The court then enforces these orders in accordance with the Nevada Revised Statutes. Certain conditions may exist that may grant birth parents the right to revoke consent of an adoption before the entry of the final adoption decree. In Nevada, a court may grant a revocation of an adoption if it deems the child’s prospective adoptive family unsuitable, or if the adoptive parents do not file a petition for adoption within two years. A court may find a consent is unenforceable if it is the product of fraud, duress or coercion. How Long Do Birth Parents Have to Wait to Give Consent for an Adoption? Birth parents are legally required to wait 72 hours after the birth of a child before executing adoption consent. However, the father has the right to give consent before the child is born unless he is married to the birth mother. Nevada courts advise birth parents to use this time to weigh the options, and to decide if adoption is in the best interests of the child. If the birth parents decide to move forward with adoption, they can then sign a consent or relinquishment for adoption. Those planning to adopt should closely follow the legal procedures in place for adopting a child in Nevada to ensure that they comply with all laws. Our law firm also recommends for adoptive parents to complete all of the adoption documents in a prompt manner and to consult with an experienced Nevada adoption attorney to prevent any errors or missteps in the process. What Happens if the Birth Parents Revoke Consent? When either party considers or hears about revocation of consent, there is often panic. Sometimes a birth parent’s efforts to revoke their consent for adoption becomes a contested case that may proceed to trial. 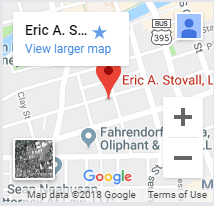 Eric A. Stovall is a knowledgeable Nevada adoption lawyer who has dealt with many adoption cases during his legal career. Our law firm can answer all of your adoption questions, whether you are the birth parent or the adoptive parent. This includes questions about giving and revoking consent. 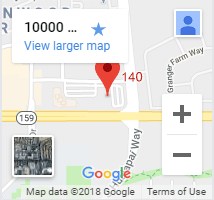 We have offices conveniently located in Reno and Las Vegas. Contact an adoption attorney at Eric A. Stovall, Ltd. today to schedule a consultation.